Some research has been done with the graviola fruit and it has been found that if using it for long periods at a time, for instance many years in a row than the individual may be at risk for a form of Parkinson’s disease. Reason being is that there is an atypical Parkinsonism in Guadeloupe where this fruit is commonly found and consumed by the people. 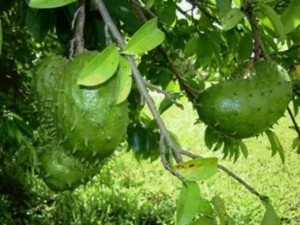 This is not something that is known for certain but it is definitely a caution that is placed when it comes to eating the fruit or taking the graviola supplement for long periods of time without a break. What some people that have decided to take the supplement decide to do is take two days off during the week or maybe a week off in the month, in order to prevent having these symptoms. As time goes on and hopefully more research is conducted on the graviola supplement then we will have a better idea of what the benefits, side effects, and proper dosages are. We simply hope that this supplement or if can ever become a clinical trial based drug will have all of the wonderful anti cancer prevention and treatment we hope for it to have. Again we remind you and encourage you before starting any regimen that you are sure to check and consult with your doctor because of the graviola side effects.